Once upon a time, a very sad pitbull wandered into a yard. The owner of this yard came home from a long day at work and said to the lost dog, "Let's go home." Since that night, Hera has lived happily ever after with the Big Kitty. She is the On Site Therapist and Service Department Foot Inspector. 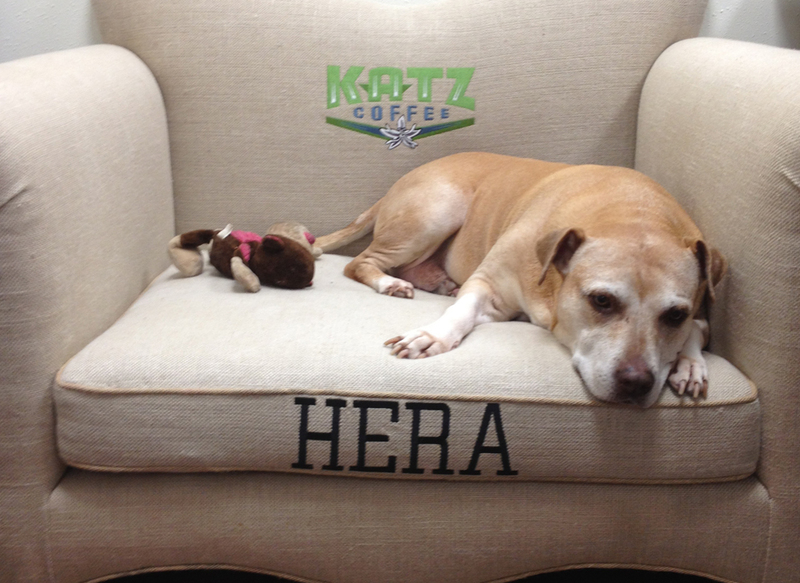 She's chatty first thing in the morning, but gets down to business greeting customers and sleeping on her personalized throne. She is always nearby to let us know we are loved (or to let Emily know her "PAID" stamp is entirely too loud).